We’re now two days into to the life of Color, and it’s still the tech story that everyone in the blogosphere wants to talk about. Yesterday, I detailed why so much of that talk is directly related to the massive funding they were able to secure, rather than the product itself. And I wondered why so many people seemed to be rooting for it to fail spectacularly rather than succeed? The answer, it seems, may be quite simple. There were some great discussions in the comment section (can you believe I’m saying that?) of yesterday’s post and a number of people reached out to weigh in as well. Of those, the most interesting perspectives were from entrepreneurs. A common refrain among them points to a simple reason for the Color backlash beyond the larger “bubble” talk: no one wants to root for Goliath. “I think one reason for the animosity among startup founders is that the romantic model of the startup is the small group of founders in the grungy garage/apartment,” Michael Seibel, the CEO of Justin.tv and the just-launched Socialcam said. “To me and my founder friends it feels like Color is cheating the process and that is what we are reacting against,” he continued. A better analogy may be in baseball. 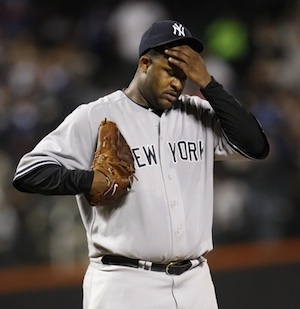 Many people get delight when the Yankees lose and openly root for that to happen. For some, this is because the franchise had so much success in the past and they feel like others should share that success. But in recent years, a big part of it is more analogous to the Color story. The Yankees have a payroll much higher than any other team in baseball. When they lose, people celebrate because it shows that money and the talent it buys aren’t unbeatable. It’s a win against “cheating the process” as Seibel calls it. Of course, it isn’t really cheating in the illegal sense. The rules allow the Yankees to spend as much as they like on their team, just as investors are allowed to put as much money as they like into Color. But it is “cheating” in the sense that most teams, just like most startups, are simply incapable of getting access to these types of resources. And that points to something else that a few entrepreneurs brought up: envy. The use of that word will be interpreted as some of these entrepreneurs being cry-babies. But the reality is that a few of them simply wish they had the resources that Color was able to secure. “If we had that much money when we started…” type of thing. Others felt the exact opposite way — feeling that $41 million and a $100 million + valuation pre-launch would be more of a burden than anything else. “When building version one, being scrappy and without resources is actually a plus (this is why the YC is so appealing),” Seibel said. But not all entrepreneurs are against Color. “I was at dinner last night at a Palo Alto restaurant with the Pulse team, and we were all using Color. I quickly realized what you had mentioned in your dinner table post: ‘The common misconception that my parents and others have about using the phone during dinner is that it’s antisocial. But increasingly, it makes dinner even more social.’,” Alphonso Labs co-founder Akshay Kothari said, indicating how much fun he was having with the product. He went on to say that the only problem he’s had with the hoopla surrounding Color so far is that the money and not the product has become the story. “Maybe I’m young and naive, but I always like the product to be the talking point. Funding gives you resources to build something beautiful. They have a lot of funding now — if they can execute on the product, nobody is going to talk about funding,” he said. And he’s exactly right. At the end of the day, all of this initial backlash won’t mean a thing if Color can execute. In fact, we won’t even remember it.